Vegan Power Plate - Vegans Eat What? Vegans Eat What? Legumes, Nuts & Seeds (4 + servings per day): This group includes beans, split peas, lentils, nuts, seeds and also soy products. Grains (4 -6 + servings per day): Whole grains are preferred to refined grains because the refining process removes the healthiest nutrients. Brown rice, quinoa, oats and millet are great sources of vitamin B vitamins, fiber, minerals proteins and antioxidants. For gluten intolerant individuals, rice, millet and quinoa are gluten-free. They can be prepared in a variety of ways from pilafs and other savory dishes to salads. Quinoa and millet are considered “super-foods”. 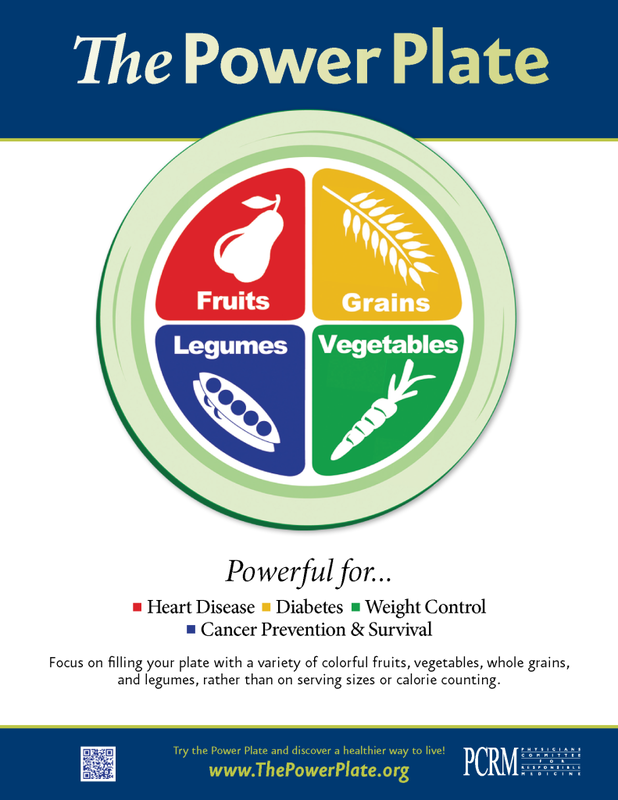 Vegetables (4+ servings per day): Eating a wide variety of colorful vegetables is extremely healthy and provides an assortment of protective nutrients. Buying what is in season for your area is not only beneficial, but eco-friendly and econionimal. Fruits (2 + serving per day): Anything with seeds is considered a fruit, so this includes cucumbers, tomatoes and avocados as well as apples, mandarin oranges and the like. Most fruits are a great source of vitamin C and all fruits provide antioxidants. Whole fruits are more beneficial than fruit juices.